Is China's social credit system really the dystopian sci-fi scenario that many fear? "Dear passengers, people who travel without a ticket, or behave disorderly, or smoke in public areas, will be punished according to regulations and the behavior will be recorded in individual credit information system. To avoid a negative record of personal credit please follow the relevant regulations and help with the orders on the train and at the station." It was particularly chilling to anyone familiar with George Orwell's dystopian classic, 1984. Indeed, what disturbed James is China's widely discussed and severely criticized Big Brother-style social credit system. But before we get carried away to 1984, let's get a more comprehensive overview of the system, including some misunderstood or lesser-discussed aspects. 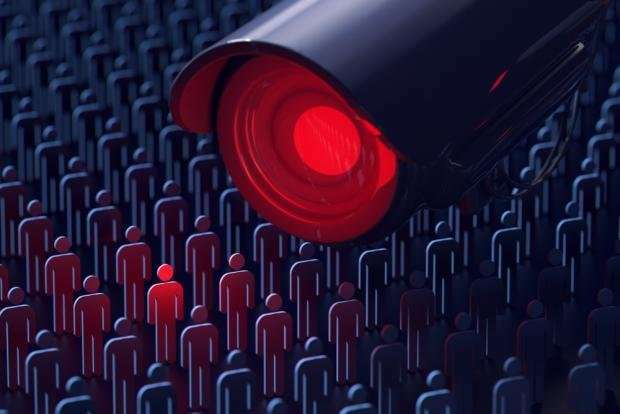 The system is portrayed by some media as a big-data surveillance system that aims to monitor, assess, and discipline citizens' social, political, and economic behavior. It was first referred to in 2014 in a government document (in Chinese) issued by the State Council—the highest executive organ of state power in the People's Republic of China. The document described an omnipotent social credit system due to be launched in 2020, which aims to rate everyone's "trustworthiness." The 'credit' referred to in the unnerving train announcement is the translation of the Chinese word 'xinyong,' which indicates a person's honesty and trustworthiness. It is believed that the system entails a series of big data and AI-enabled processes that compute an individual's behavior, from online purchasing to obedience to traffic laws, timely bill payments, or your choice of friends. All 1.35 billion Chinese citizens will be subjected to the system. People with high scores will enjoy better social privileges and economic benefits. Low scores on the other hand, could get you blacklisted from accessing certain services, such as flights or train travel – just as James heard on the train. The potential for misuse and the likelihood of mishandling personal, private data is easily drawing public attention in today's data-sensitive era. Data in the hands of an authoritarian government like China becomes a self-fulfilling prophecy, which vividly illustrates how digital technology is aiding authoritarian regimes to augment their rule and sustain themselves by pressuring their citizens to act in certain government-approved ways (for higher social credit scores in this case). However, many concerns around the social credit system are either inaccurate or one-sided. For one thing, the Chinese government has not yet announced officially how the credit system will work, including, probably most importantly, how algorithmic credit scoring will be amassed and different qualities weighted against one another. Some tend to consider the high-profile "Sesame Credit" ("Zhima Xinyong"in Chinese), a private credit system operated by Ant Financial, a company affiliated with Chinese e-commerce giant Alibaba, as an example of such a mass surveillance system. With its 520 million users, Sesame Credit is for sure the current leader in China's "social credit" industry. Still, it is essentially evaluating purchasing volume and the price of purchased goods, rather than the content of purchases. To use the explanation from an Ant Financial spokeswoman, "It's basically the frequency that matters, it's not what you buy that matters." To be blunt, Sesame Credit does not care whether the user purchases cocaine or cake; it simply wants to sell products. Your score will increase as long as you buy something from Alibaba. To believe that Sesame Credit would work like a state-approved "beta version" of a social credit system risks exaggerating the use of inaccurate data tracking and information to deliver rewards and punishments. This further shows the challenge to compile necessary and sufficient data that covers every aspect of social life to serve as a useful reference in establishing a single and panoptic national-scale social credit system. To use Jamie Horsley's argument in Foreign Policy, "China's Orwellian social credit score isn't real…There is no such thing as a national 'social credit score'." Apart from the (negative) political implications of the work-in-progress social credit system, we should also consider the economic implication of such a system. According to the 2014 government document, one of the initiatives of the credit system is to rate not only individuals but also organisations and companies in order to "promote economic growth" and "further the credibility of the government." The Chinese government has experienced the dearth of commercial and consumer credit data for a long time. The People's Bank of China – the central bank – runs the country's only official credit rating system, and as of 2017 it serves only about 300 million people, or less than 25 per cent of the total population in China. In other words, three out of every four Chinese citizens lack publicly available credit histories. By contrast, over 80 per cent of the adult population in the US has a credit score, according to the Consumer Financial Protection Bureau's Office. In the current system, many Chinese consumers – especially younger generation with higher spending power and consumption potential – struggle to invest or borrow money from the bank. Strict rules at most banks disqualify the majority of college and university students and new graduates from applying for credit cards. Similarly, small and medium-sized business (SMEs), which account for over 80 per cent jobs in the country, always struggle to get loans from China's financial institutions, regardless of the government's push. The lack of credit information puts the push to lend money to small firms in direct conflict with the effort to reduce risk in the financial system. That in turn hinders domestic consumption, a worrying factor amid China's slowing economy that would further deteriorate in the ongoing US-China trade war. A national wide credit system, in this sense, would allow responsible borrowers access to a line of credit. It will not only service Chinese bankers, but also has constructive effects on the economic realities of individuals and companies and the whole Chinese economy in the long run.